The core acreage of this park was acquired by the Save the Myrtle Woods organization in 1948. The Oregon Myrtle trees (Umbellularia Californica), also known as the California bay laurel, are scattered throughout the campground, and some of them are 200 years old. Their marvelous scent fills the air around the campground. 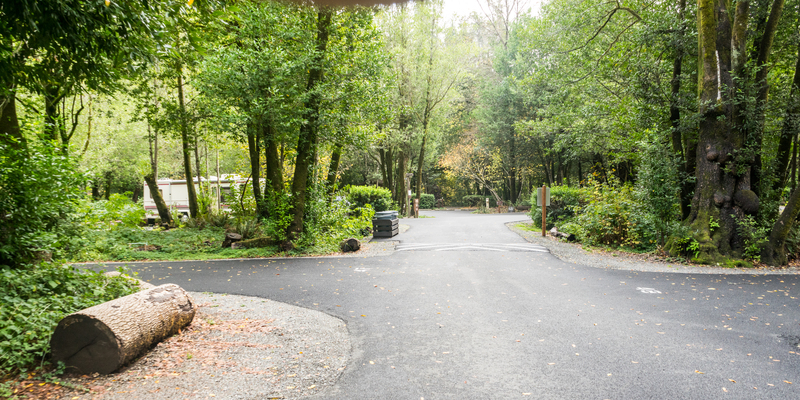 The campground is the heart of this small park, which also has a nice day use area along the Chetco River and a small gravel boat ramp. Several of the campsites and all three rustic cabins overlook the river. All of the campsites are distributed around a single loop road, and they are roomy and fairly private with electric and water hookups. The short but lovely River View Trail leaves right from the day use area and leads to the trailhead of the Redwood Nature Trail just outside the state park on national forest land. A very nice 2.7-mile hike can be done by combining these two trails.